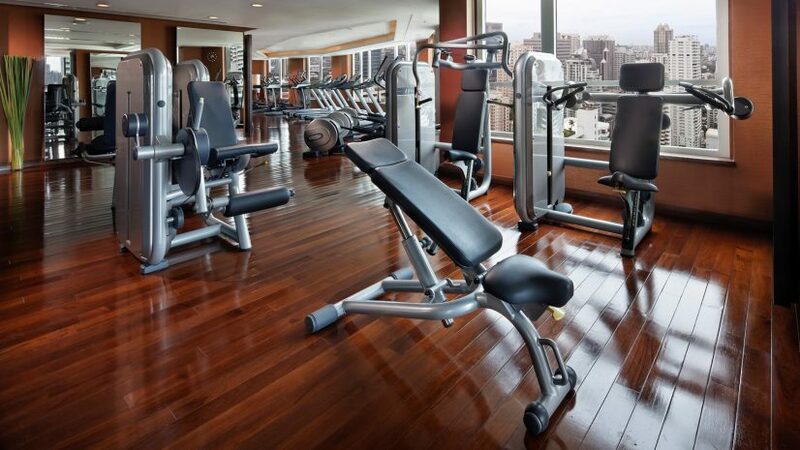 End your search for Gyms in Bangkok Sukhumvit with opulence taking new meaning at our SoFit Fitness center by Sofitel luxury Fitness Center Bangkok. Arguably one of the best gym Bangkok has to offer, we have left no stone upturned with all the equipment and features you would ever need to maintain a comfortable yet exciting well-being regime. Our Fitness Center Bangkok offers state-of-the-art TechnoGYM equipment supplied by ‘The Wellness Company’ who are at the forefront for cutting edge exercise apparatus. More than 35 million people regularly use TechnoGYM equipment in homes and fitness establishments in more than 100 countries across the globe, proving that good design is always worth it. The company’s vision strives at combining form and function in a unique way, offering users the full fitness experience and all the rewards, while keeping the body comfortable. This ergonomic approach is central to the beliefs of the company who describe their range of products as a carefully designed ecosystem made up of cardio gear, strength training apparatus and other types of well thought out pieces of equipment. More importantly however, is the way the word ‘ecosystem’ suggests that one element of fitness cannot exist without the other, resulting in a range of apparatus that promises quality and reliability as a whole. Beautiful design does not limit itself to the equipment available, as the gym space itself is incredibly well designed, functioning as another quality that contributes to why our SoFit Fitness center is one of the best gyms in Bangkok Sukhumvit with the best personal trainer Bangkok offers. 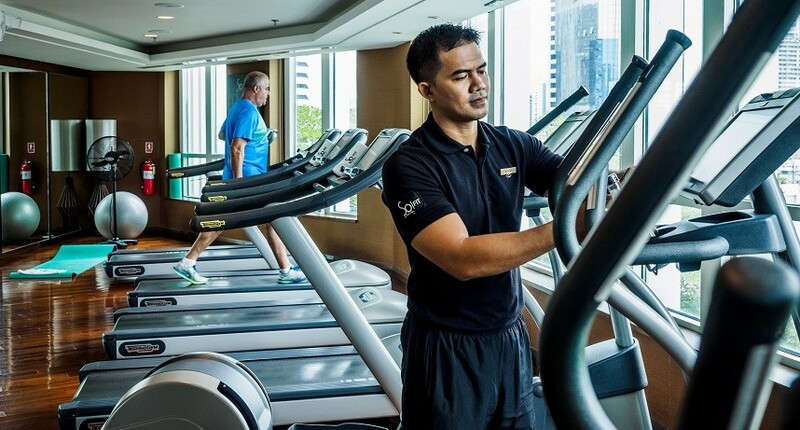 The gym is spacious and located high up on the 9th floor of the Sofitel Bangkok Sukhumvit which allows for mornings and afternoons spent gazing upon gorgeous panoramas of downtown Bangkok during a session on the treadmill or elliptical. Moreover, stunning views are not restricted to being indoors, if you would like to experience a change of scene the staff at the front desk are more than happy to to supply you with the best running trails in parks across central Bangkok. We at Sofitel consider guest happiness our number one priority so be sure to expect only the best in leisure and comfort. The abundant amount of space available in our gym also means that the experience of exercising at our Fitness Center Bangkok is one that will always be quiet, peaceful and very private; which we believe is a trait the Best gym Bangkok has to offer, provides indefinitely. For those choosing Sofitel Bangkok Sukhumvit as a home away from home your stay includes complimentary 24 hour access to our facilities, allowing you freedom to indulge yourself in our state-of-the-art center at any point in the day or night. Rather than buying a Bangkok gym day pass for centers that are less convenient in regard to your lifestyle needs, we offer exclusive memberships for individuals interested in being a part of the Sofitel family long-term. The gym is available to members through the day and night, with those choosing to use the gym later in the day being treated to only the most spectacular views of the Bangkok skyline at dusk, an exclusive view most would consider priceless. We understand that exercise is a process and so to wind down the experience, our locker rooms feature beautiful and luxurious saunas in which to relax your muscles and your mind after a long and busy day. 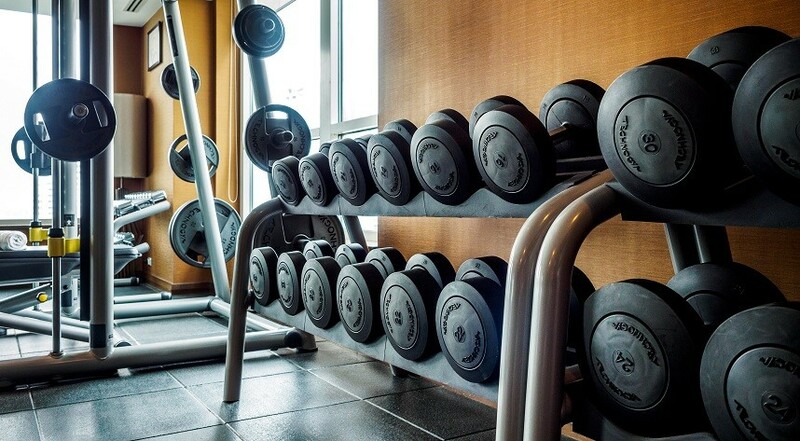 In addition to revolutionary exercise equipment and abundant space, our fitness center offers carefully tailored programs covering all types of training, from aerobic to anaerobic– covering cardio and strength. We understand that people benefit from different approaches, so our programs incorporate styles of continuous, interval and resistance training methods. Additionally, we have a personal trainer Bangkok based on hand to make your experience with us one that is carefully curated and incredibly personal. Our attention to each guest and their specific needs is why we believe our center is the best gym Bangkok has seen in recent time. There are numerous benefits that come with choosing tailored training programs; for example, working at your own schedule and around prior commitments thus making sure you are never overworked and exhausted. We have the best personal trainer Bangkok based in all fields and therefore, exercise routines can be altered to suit your strengths, weaknesses and capabilities, making sure you are working at 100% efficiency levels. It is understandable that many of you are worried about the personal trainer Bangkok price and availability, but here at Sofitel we view our clients as our friends and family and therefore, our priority is to help in any way we can to aid you in your fitness pursuits without worries about breaking the bank. This is another feature that makes our facility one of the best gyms in Bangkok Sukhumvit. For those interested in flexible commitments or a Bangkok gym day pass, we offer exclusive memberships for singles, couples and also families. The fitness memberships at the Sofitel Bangkok Sukhumvit include an array of privileges including complimentary parking, use of the gym and facilities, specialty classes, locker rooms, saunas, and pool access from 6am in the morning till 10pm at night. 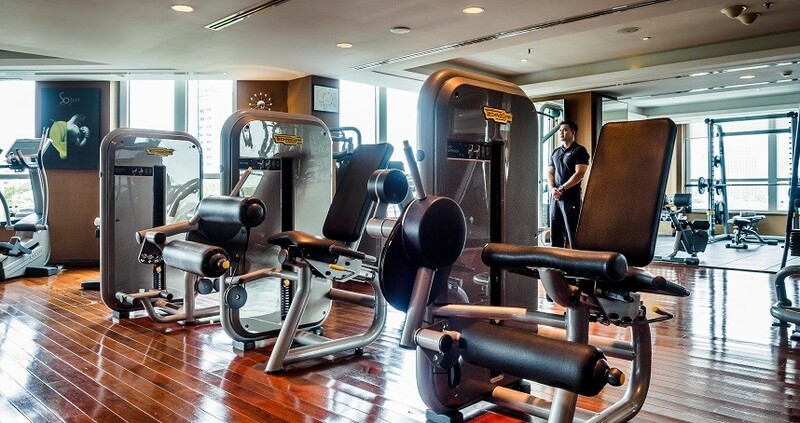 Additionally, with fewer concerns about personal trainer Bangkok price and availability, treat yourself to a range of fitness-centric activities curated by our in house fitness specialist; for example, optimizing the use of free weights and strength training through consultation with the best personal trainer Bangkok has in this field. For anyone living in central Bangkok, our fitness center is located close to the Asoke and Nana BTS stations, making your commute a leisurely one and incredibly convenient in comparison to other gyms in Bangkok Sukhumvit. The easy commute and flexibility of memberships allow for you to join us on a long term basis as well or even as short as a taster session with a Bangkok gym day pass, to get a true feel of what we provide at our center as well as our personal trainer Bangkok price offers. At Sofitel we like to deliver on our promises so for those interested in joining the Sofitel family please contact the front desk for more information. We would be more than happy to answer questions regarding our policies, the vision we have with our SoFit Fitness center, equipment available, membership deals, and the personal trainer Bangkok price we quote in regard to sessions. At the Sofitel Bangkok Sukhumvit we aim at tying together luxury in design as well as a high quality of function, which translates to the approach we have taken with the vision for our SoFit Fitness center in Bangkok. Like our other centers around the world we keep guest satisfaction our utmost priority, leading with our belief that fitness and well-being are concepts that are very much individual to each person. We have the best personal trainer Bangkok has to offer on hand to tailor your experience into one that is comfortable yet effective, creating an unrivaled experience and giving more value for your money in comparison to other establishments offering simple Bangkok gym day pass deals.